If You’re New Here . . . 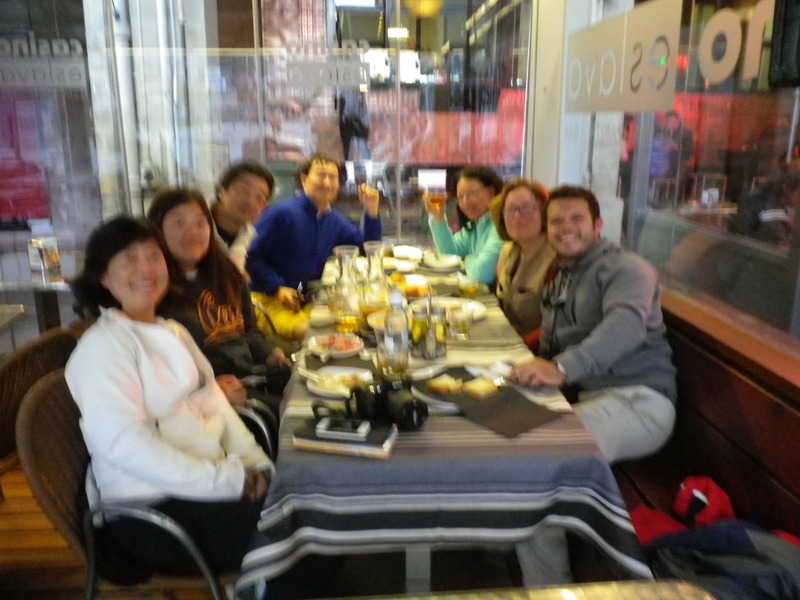 Walking the Camino solo gave me time to think about the pleasure of choosing a family. As you walk, you pass, and are passed by, many pilgrims. Some of this occurs on the road. You stop for coffee and find yourself sharing a table with a stranger whose pack is close by. A conversation starts, and, presto, you find yourself walking together for miles. Other times, your walking companion continues on, while you settle into a bar for lunch. Will you see each other again? Sometimes, you pass, and are passed, when you end the day. 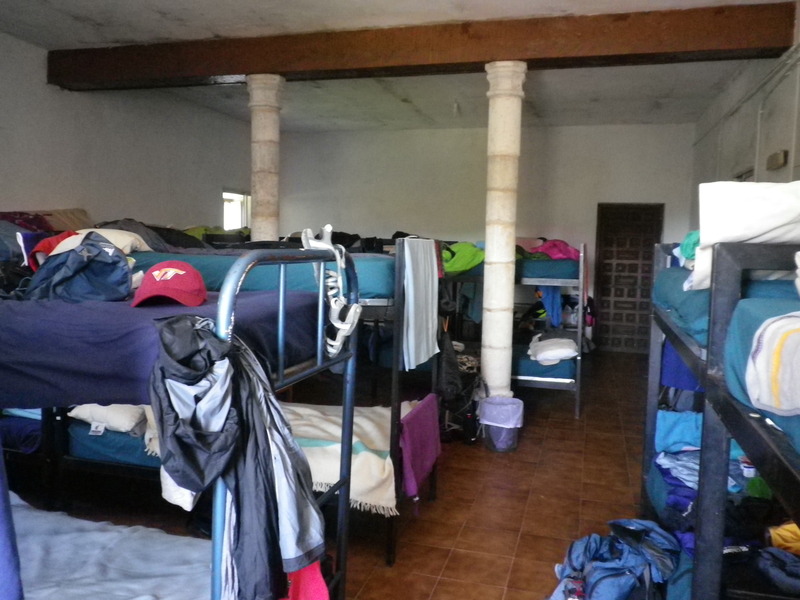 In the albergue, you throw your sleeping bag on a bunk next to someone you’ve seen a few times over the past few miles. You talk and decide to have dinner together – maybe at a restaurant, maybe pooling resources and making a meal in the tiny albergue kitchen. The next morning, you get up and they have gone, their bunk empty without a trace that they were ever there. There are people you keep running into again and again. At lunch, in town, leaving an albergue you discover you shared the night before. Since everyone is walking a similar route at a similar pace, it is not surprising that you run into the same people. I had discovered that, although I enjoyed/needed people to talk to at the end of the day when settling into a town, I enjoyed walking solo. I liked getting lost in my thoughts for hours at a time. I didn’t have any particular problems to work out. I simply found that walking solo gave me lots of time to really see and enjoy my surroundings. Walking solo made me available for adventures and experiences that would never have happened if I had been with other people, lost in conversation. The woman on the trail outside Leon? The old man and the cherry tree? Elisa and her gift? None of those experiences would have happened if I had been with other people. As I walked along, I came to appreciate the pilgrim friends I was meeting again and again. I was comfortable with the idea that we could go separate routes and, when we met again, it would be like family coming together at the end of the day. If we decided that we wanted to see different things, it would be OK to split up because we might meet again soon. In a real family, there are actually few certainties. You can be fairly certain that your parents and your children will stick with you no matter what. But you can never be completely certain about your spouse, in-laws, others who have chosen, or have been chosen, to be part of your family. You never know for certain what is going on in the mind of your husband or wife, do you? You have faith that you do, you trust that you do. But you have no way of knowing for sure. Your Camino family becomes a family of choice. People chose to be together. 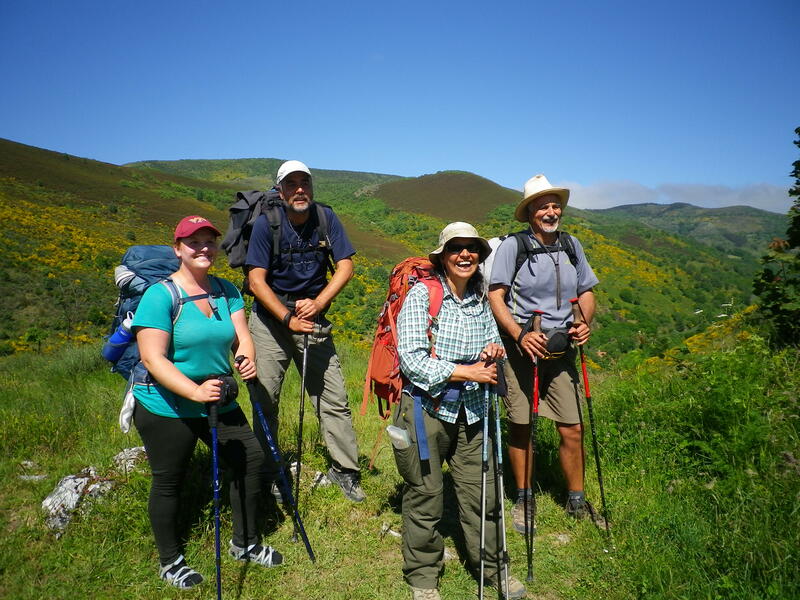 Knowing that the family has a definite end point – arrival at the final destination – your Camino family choses to stick together and to give each other space and support as needed. You allow each to accept or reject advice, conversation, insights, whatever, and not take offense. I’ve come to the conclusion that every day of walking with someone on the Camino is the equivalent of knowing that person for one year. So, if you walk with someone for three days, it is the equivalent of knowing them for three years. As I go through my photos, I am surprised at the number of times people who ended up being my close Camino family would be somewhere in my photos. Usually not center stage, usually in the background or a half profile here, their stuff on a bunk bed there. But circling the periphery of my relationships, nudging into my consciousness. The Camino provided what I needed. Food, shelter, companionship, solitude, beauty, kindness, strength. All in the proper dose and at the proper time. For me, my goofy, ridiculous, delightful, FREAKY Camino family was the manifestation of that providence. 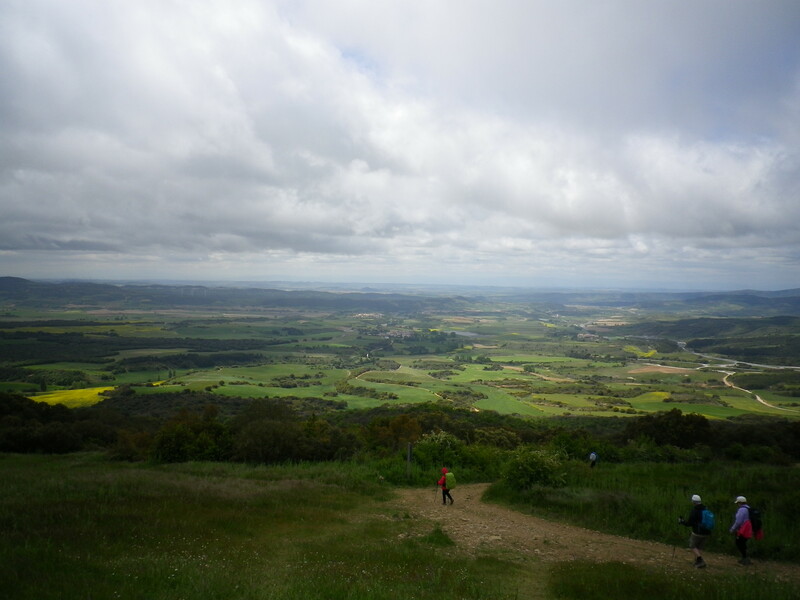 This entry was posted in camino de santiago de campostella, Saints, Spain, Travel and tagged albergues, Camino de Santiago de Campostella, Camino family, family, friendship, hiking, love, pilgrims, Saints, Spain, women hiking solo. Bookmark the permalink. Once again Kathy beautifully articulated. And you’re probably right – one day = one year. Everything is so intense, and so intimate, on the Camino. Without people though – those that you meet – it would just be a long walk. 18 and (still) not pregnant. The official blog of Scouting magazine, a publication of the Boy Scouts of America. DIY-er who loves to redesign, repurpose, and reorganize just about everything.